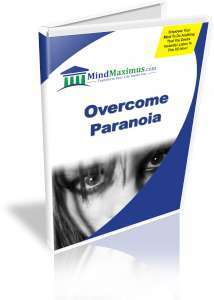 While a small amount of paranoia can be healthy in our everyday life, an excessive dose of it can instead make us very miserable. Excessive paranoia causes us to be unnecessarily weary of the people around us, and hinder our ability to place our trust in others. Paranoia makes us feel extremely insecure, even to the extent of believing that people are out to “get us”. It reduces our ability to sleep properly, and causes undue stress and anxiety. It thus goes without saying that this state of mind is very unhealthy, and should be corrected as soon as possible. Do you often find yourself doubting people, even though they have not done anything wrong to justify your doubts? Do you constantly have the feeling that people are out to bring you harm? Have you always wished to be able to reduce the irrational paranoia that you feel every single day? Do you want to be free from the self-destructive grip of excessive paranoia? Thankfully, with the latest Brainwave entrainment technologies we can now train our minds to reduce the excessive feelings of paranoia and doubt from our lives. Finally, we can begin to live a more balanced, healthy and fulfilling life like we’ve never dreamt possible! No reviews on H18 Overcome Paranoia so far.